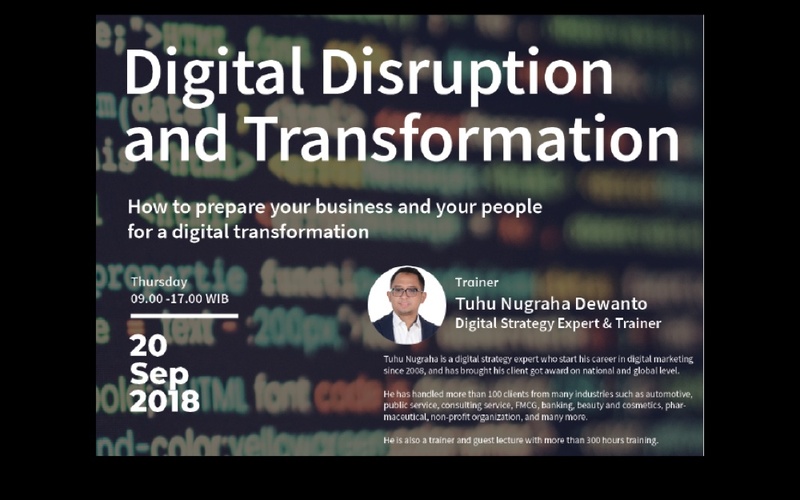 Tuhu Nugraha Dewanto (Digital Strategy Expert & Trainer). Tuhu is a digital strategy expert who start his career in digital marketing since 2008, and has brought his client got award on national and global level. He has handled more than 100 clients from many industries such as automotive, public service, consulting, FMCG, banking, beauty & cosmetics, pharmaceutical, non-profit organization, and many more. He is also a trainer and guest lecture with more than 300 hours training.